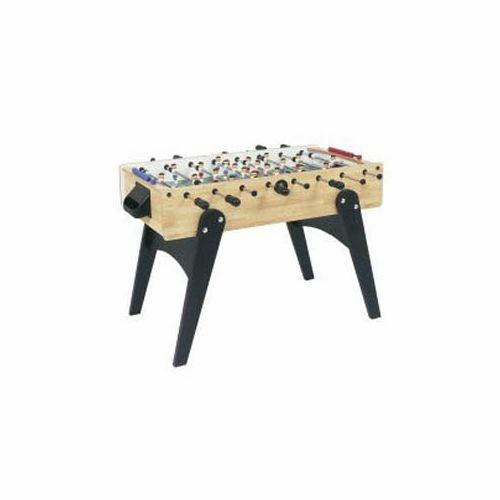 The Garlando F-10 Family Football Table is a perfect addition to your home and is great fun for family and friends to play. Why not take on your rival in this game of skill, style and finesse. Practise your skills of passing through the opposition to set up the shot for goal. 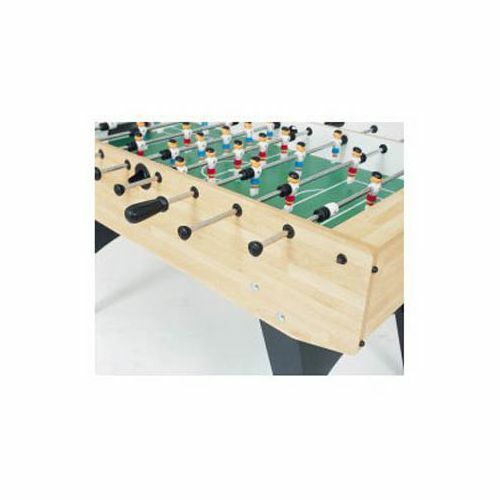 Since 1954 Garlando has been manufacturing high quality football tables for the most demanding customers. Heavy duty 16mm thick MDF cabinet with melamine coating in beech effect for a great look and feel and unrivalled performance too. 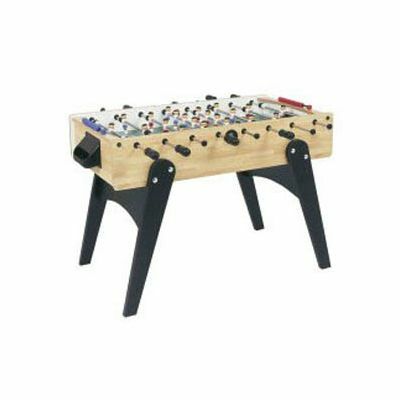 Strong, 30mm thick MDF legs with black melamine coating give great stability during play. Plastic laminate playing field with slanting corners finished in green with realistic pitch markings for the life-like football experience. Fitted with 13mm diameter high stress-resistance, go-through solid rods for superb durability. Coated with anti-rust chromium plating for extra longevity in every environment to provide years of fun. 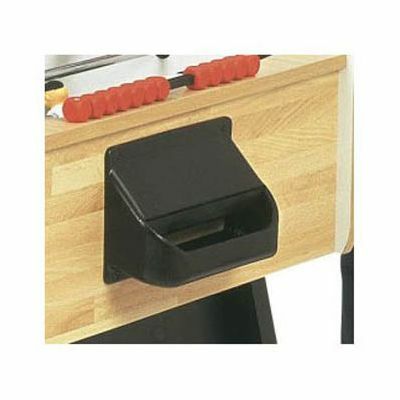 Solid, plastic covered bar ends fitted for extra safety and grip. Avoids accidental injury, and also provides the perfect grip for the power shot to score the winner! Full colour, caricature style players are individually fixed to the bars for the ultimate in realistic effect. 0 to 10 Score Counters at each end means you can keep track of every goal scored quickly and easily. Quick and easy ball recovery through sturdy baskets behind each goal allows you to restart the game and get on with it! Supplied with 10 standard white balls for optimum speed of play. Packing: The outer carton designed with strong internal protection for extra safety during shipping to ensure your table arrives in perfect condition first time, every time. Manufactured in Italy, home of all things stylish and quality. 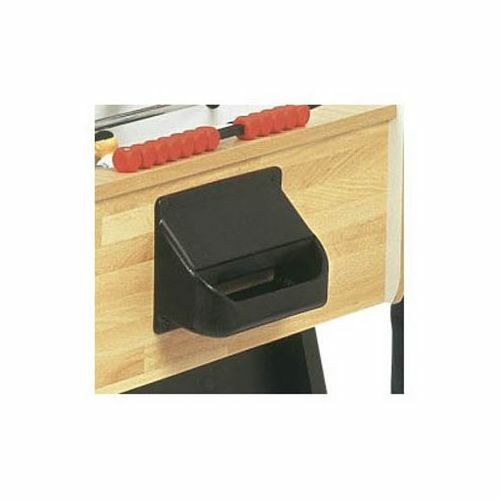 This table is covered by a 2 year manufacturer’s warranty for total peace of mind. 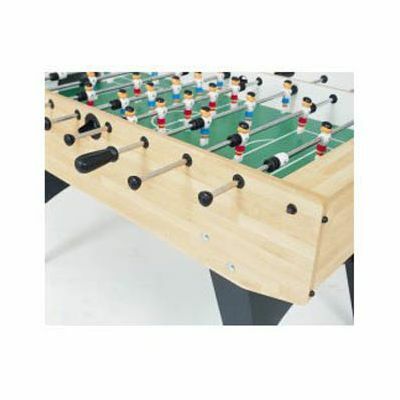 for submitting product review about Garlando F10 Table Football Table.